A Fence in Maple Grove can dramatically change any type of property. Residential fencing can keep your home more private, your animals more secure and add more opportunity in your yard. Municipal fencing can improve safety, security and visibly display the property lines. Commercial building often benefit from fencing too. Regardless of the type of property you own or manage Arrow Fence Co offers the entire Maple Grove, MN area quality fencing, professional installation and affordable prices. Maple Grove MN is a beautiful area, continuing to develop and thrive. 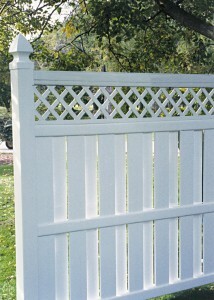 If a fencing project is next on your list it is important to discover your fence options. Not all fences are built and installed equally so be sure whoever you hire for a fence has the requirements and products that will deliver what you need. Vinyl Fence Maple Grove – This virtually maintenance free vinyl fencing option is a popular choice for home and business owners alike. With multiple colors to choose from, it is easy to find a style that fits in seamlessly with your property. Our durable vinyl fencing is made to stand up to the harsh storms our area experiences. Not every vinyl fence product can do that. 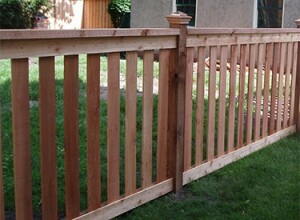 Cedar Fence Maple Grove – There is nothing quite as beautiful, sturdy and traditional as wood fencing. With a little staining here and there a wood fence can be a beautiful addition to any property in Minnesota. We recommend working with Cedar wood for a gorgeous fence that will last years and years. Chain Link Fence Maple Grove – The most affordable option when fencing in a property is chain link fencing. We have galvanized and vinyl coated chain link fencing materials available and can quickly provide a professional installation of this popular fencing option. Ornamental Fence Maple Grove – This high-end fencing option adds beauty to any location once installed. Our experience fence installers can skillfully customize your desired fence addition, leaving you with a one-of-a-kind masterpiece.